This section provides links to broad resources for many different types of Northern Pacific equipment. All-Time Equipment Roster Table Compiled listing from several years of the Official Railway Equipment Register publication, specifically listing NP equipment in interchange service. This is a great resource for modelers and researchers to determine the basic dimensions, road numbers and quantity of various equipment in service on the Northern Pacific. Era-Specific Equipment Roster Table Era-specific listing form the Official Railway Equipment Register publication, specifically listing NP equipment in interchange service. ​Mechanical Dept. Drawing Database ​Table ​A list of drawings from the NP Mechanical Department and diagrams from NP Application For Expenditures (AFE) located at the indicated archive facilities. These drawings have not been scanned, but are planned to be in the near future. If you would like a copy of one of the drawings, email NPRHAResearch@hotmail.com with the details. ​Numerical Register of Equipment ​PDF ​This large collection of 10MB PDF files presents a near full listing of NP equipment - boxcars, stock cars, flats, ore, oil tanks, etc. Data includes builder, build date, authorization number, disposition, and disposition date. The collection also includes some non-NP roads such as BN, CB&Q, FW&D, etc. The dates range from the 1920s to the 1980s. 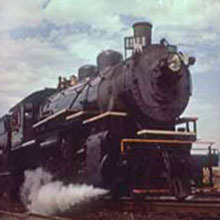 This section provides general and specific information on the steam locomotives operated by the Northern Pacific Railway. Photo collections listed here have strong Northern Pacific content regardless of where they are preserved. Photo collections preserved by the NPRHA are marked with (*) and copies may be purchased through the NPRHA Company Store. To purchase a photo, 1) Write down the PhotoIDs of the photos you seek, 2) Return to the Home page of this site, 3) Open the Store site, 4) Select the Photo Purchase page and follow the instructions on the page. ​​Steam Locomotive Roster ​Table ​A list of all steam locomotives that served on the Northern Pacific after 1907. ​Distribution of Power ​PDF Official Mechanical Department documents that list locomotive assignments to various NP divisions. The documents cover the years 1937 to 1954. ​Image Library of 100 steam locomotive diagrams from the official diagram book. The original booklet quality is rudimentary, so these scans are only as good as the originals. ​Steam Locomotive Diagram Indexes ​​Image ​NP Steam Locomotive Diagram indexes showing the specific details of each locomotive in a class. ​​​Steam Tender Diagrams​ Image​ ​​Library of 30 steam tender diagrams from the official diagram book. ​Ainsworth NP Steam Locomotive Photos ​Image ​(*) Walt assembled this collection of NP steam locomotives starting in the 1970s from most of the master photographers who recorded the Northern Pacific over the decades of the steam era. Walt's collection is a mainstay of the photos at PNRA in Burien, Washington. To order copies of any of the photos, email info@PNRArchive.comcastbiz.net the photo numbers you seek and PNRA will respond to your request. ​James Turner NP Photo Prints ​Image ​(*) James A. Turner, a Seattle street car motorman who was also a fine photographer, made these images of NP operations and equipment in and around Seattle and on Stampede Pass in the 1920s, '30s and '40s. ​Jim Fredrickson Photos ​Image ​(*) Library of 3,279 steam locomotive images taken by Jim Fredrickson. To view just the steam locomotives, click "Subject 1" on the top row and choose "Locomotive-Steam" and "Locomotive-Tender" in the drop down list. Joe Caron Photos ​Image (*) ​Library of 199 steam locomotive images taken by Joe Caron. To view just the steam locomotives, click "Subject 1" on the top row and choose "Locomotive-Steam" and "Locomotive-Tender" in the drop down list. ​Collection 59 ​Images ​A Collection from a Unknown Donation, Mostly early McGee & Nixon photos with a few by other Photographers and a few non-NP photos. 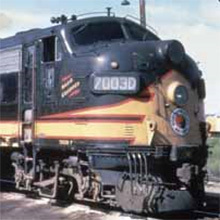 This section provides general and specific information on the diesel locomotives operated by the Northern Pacific Railway. Photo collections listed here have strong Northern Pacific content regardless of where they are preserved. Photo collections preserved by the NPRHA are marked with (*) and copies may be purchased through the NPRHA Company Store. To purchase a photo, 1) Write down the PhotoIDs of the photos you seek, 2) Return to the Home page of this site, 3) Open the Store site, 4) Select the Photo Purchase page and follow the instructions on the page. Diesel Locomotive Diagrams ​Image Library of 94 diesel locomotive diagrams from the official diagram book. The original booklet quality is rudimentary, so these scans are only as good as the originals. ​Distribution of Power ​Image Official Mechanical Department documents that list locomotive assignments to various NP divisions. The documents cover the years 1937 to 1954. ​Image ​(*) Library of 3,114 diesel locomotive images taken by Jim Fredrickson. To view just the diesel locomotives, click "Subject 1" on the top row and choose "Locomotive-Diesel" in the drop down list. ​Joe Caron Photos ​Image (*) ​​Library of 341 diesel locomotive images taken by Joe Caron. To view just the diesel locomotives, click "Subject 1" on the top row and choose "Locomotive-Diesel" and "Locomotive-Helper" in the drop down list. ​Walt Ainsworth NP Diesel Photos​ ​Image (*) A collection of 543 ​NP diesel images from Walt's print collection. ​Werkema NP Photo Collection ​Image (*) ​The George Werkema NP Photo Collection focuses all aspects of the Northern Pacific, mostly taken during the 1960's and post-merger. You can MOUSE OVER any of the column headings and click the down-arrow to filter or sort for Locomotives-Diesel. Scanning by Gregg Arndt and cataloging by George Werkema. Most photos by GJ Werkema, all rights reserved, reproduction prohibited without permission. Wilbur Shannon Collectionn ​Image (*) ​Wilbur R. Shannon was the last Chief Mechanical Officer for the NP. Over 1,000 photos including NP, GN, BN, SP, UP and other subjects. 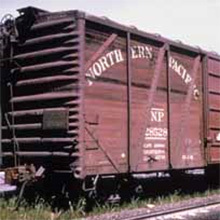 This section provides general and specific information on the freight cars operated by the Northern Pacific Railway. Photo collections listed here have strong Northern Pacific content regardless of where they are preserved. Photo collections preserved by the NPRHA are marked with (*) and copies may be purchased through the NPRHA Company Store. To purchase a photo, 1) Write down the PhotoIDs of the photos you seek, 2) Return to the Home page of this site, 3) Open the Store site, 4) Select the Photo Purchase page and follow the instructions on the page. ​Freight Car Rosters by Eras ​Table ​Freight cars by type in NP service during the three years before each era as shown in the ORERs of the time. Compiled by Lynn Francis. Diagram Diagrams of box cars owned by the Northern Pacific. Diagram Diagrams of flat and log cars owned by the Northern Pacific. ​Gondola Car Diagrams ​Diagram ​Diagrams of gondola cars owned by the Northern Pacific. ​Hopper and Ore Car Diagrams ​Diagram ​Diagrams of hopper and ore cars owned by the Northern Pacific. ​Refrigerator Car Diagrams Diagram ​Diagrams of refrigerator cars owned by the Northern Pacific. ​Stock Car Diagrams ​Diagram ​Diagrams of stock cars owned by the Northern Pacific. ​Tank Car Diagrams ​Diagram ​Diagrams of tank cars owned by the Northern Pacific. ​Wood Chip and Rack Car Diagrams ​Diagram ​Diagrams of wood chip and rack cars owned by the Northern Pacific. ​Jim Fredrickson Photos Images & List (*) ​​​Library of over 210 freight car images taken by Jim Fredrickson.. To view just the freight car images, click "Subject 1" on the top row and choose "Car-Box", "Car-Chip", etc. in the drop down list. ​Joe Caron Photos Images & List (*) ​​​Library of roughly 135 freight car images taken by Joe Caron. To view just the freight car images, click "Subject 1" on the top row and choose "Car-Box", "Car-Chip", etc. in the drop down list. (*) ​​448 images of NP freight cars from Walt Ainsworth's print collection at PNRA in Burien. Scanned and cataloged by Bill Petryk. (*) 264 images of NP freight cars from the George Werkema NP Photo Collection, mostly taken during the 1960's and post-merger. You can MOUSE OVER any of the column headings and click the down-arrow to filter or sort for freight car types. Scanning by Gregg Arndt and cataloging by George Werkema. Most photos by GJ Werkema, all rights reserved, reproduction prohibited without permission. This section provides some information on the passenger cars operated by the Northern Pacific Railway. The all-time roster of streamline and lightweight passenger equipment operated by the Northern Pacific. Gene Hawk Photos ​Images & List (*) Library of roughly 700 passenger car images. This collection is unusual for its hundreds of car interior, new construction, and other rare shots. 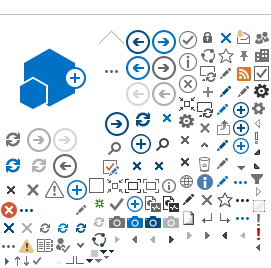 To view just the passenger images, click "cbxEquipType" on the top row and choose "Baggage", "Coach", "Lounge - car" etc. in the drop down list. ​​Joe Caron Photos ​Images & List (*) ​​88 images from the Joe Caron collection. To view just the cars in this category, click "Subject 1" on the top row and choose terms like - Car-Baggage, Car-Business, Car-Mail & Express, Car-Observation, Car-Passenger, and don't forget, Train-Passenger. ​​Jim Fredrickson Photos ​Images & List (*) ​Library of over 230 passenger car images taken by Jim Fredrickson.. To view just the car images, click "Subject 1" on the top row and choose the various passenger cars in the in the drop down list. ​Images & List (*) ​123 images of NP gas electric and rail diesel Cars from Walt Ainsworth's collection at PNRA in Burien. Scanned and cataloged by Bill Petryk. 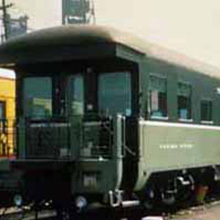 ​Walt Ainsworth NP Passenger cars ​​Images & List (*) ​341 images of NP passenger cars from Walt Ainsworth's print collection at PNRA in Burien. Scanned and cataloged by Bill Petryk. 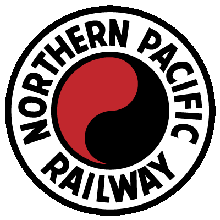 This section provides information on the maintenance of way and work outfit cars operated by the Northern Pacific Railway. Photo collections listed here have strong Northern Pacific content regardless of where they are preserved. Photo collections preserved by the NPRHA are marked with (*) and copies may be purchased through the NPRHA Company Store. To purchase a photo, 1) Write down the PhotoIDs of the photos you seek, 2) Return to the Home page of this site, 3) Open the Store site, 4) Select the Photo Purchase page and follow the instructions on the page. 189 diagrams from the Northern Pacific Railway Mechanical Department. Click an image twice to see the full size view. Includes Jordan spreaders! ​Image 90 index cards that list the "kinds" of maintenance of way equipment used by the Northern Pacific. Everything from commissary cards, to bunk cars, to flats for handling loose wheels. ​Gene Hawk Photos Images & List ​(*) 131 images of steam wrecking cranes, pile drivers and diesel wrecking cranes. To view just the passenger images, click "cbxEquipType" on the top row and choose "Steam wrecking cranes", "Pile drivers", "Diesel wrecking cranes" in the drop down list. ​Joe Caron Photos Images & List (*) ​41 images from the Joe Caron collection. To view just the cars in this category, click "Subject 1" on the top row and choose terms like - Car-Work Outfit, Plow-Snow Rotary, Motor Car, Pile Driver, Plow-Ballast, Plow-Snow Wedge, Train-Work, and Wrecker. ​Walt Ainsworth MOW Cars ​Images & List ​(*) 206 images of Maintenance of Way equipment from Walt Ainsworth's collection at PNRA. Scanned and cataloged by Bill Petryk. ​​Werkema NP Photo Collection ​Images & List (*) ​The George Werkema NP Photo Collection focuses all aspects of the Northern Pacific, mostly taken during the 1960's and post-merger. You can MOUSE OVER any of the column headings and click the down-arrow to filter or sort for maintenance of way equipment types. Scanning by Gregg Arndt and cataloging by George Werkema. Most photos by GJ Werkema, all rights reserved, reproduction prohibited without permission. 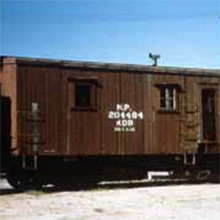 This section provides information on cabooses operated by the Northern Pacific Railway. Photo collections listed here have strong Northern Pacific content regardless of where they are preserved. Photo collections preserved by the NPRHA are marked with (*) and copies may be purchased through the NPRHA Company Store. To purchase a photo, 1) Write down the PhotoIDs of the photos you seek, 2) Return to the Home page of this site, 3) Open the Store site, 4) Select the Photo Purchase page and follow the instructions on the page. Diagrams of 27 different cabooses operated by the Northern Pacific. Welcome to npcaboose.com with a blog-style format! We are updating content to this new site, including our listing of all known Northern Pacific cabooses. Please contribute photos and information. ​Joe Caron Photos ​Image (*) 69 caboose images taken by Joe Caron. To view just the cabooses, click "Subject 1" on the top row and choose "Caboose-Steel", "Caboose-Wood", etc. in the drop down list. (*) ​Library of over 30 caboose images taken by Jim Fredrickson.. To view just the car images, click "Subject 1" on the top row and choose the various passenger cars in the in the drop down list. ​Werkema NP Photo Collection ​Image (*) ​​The George Werkema NP Photo Collection focuses all aspects of the Northern Pacific, mostly taken during the 1960's and post-merger. You can MOUSE OVER any of the column headings and click the down-arrow to filter or sort for caboose types. Scanning by Gregg Arndt and cataloging by George Werkema. Most photos by GJ Werkema, all rights reserved, reproduction prohibited without permission. 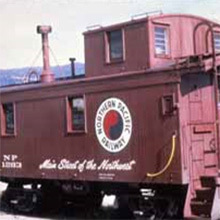 This section provides information on trucks, trailers and buses operated by the Northern Pacific Railway. Photo collections listed here have strong Northern Pacific content regardless of where they are preserved. Photo collections preserved by the NPRHA are marked with (*) and copies may be purchased through the NPRHA Company Store. To purchase a photo, 1) Write down the PhotoIDs of the photos you seek, 2) Return to the Home page of this site, 3) Open the Store site, 4) Select the Photo Purchase page and follow the instructions on the page. 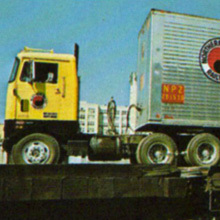 ​Northern Pacific Transport Trailers ​Table ​Northern Pacific Transport Trailers on lease to the NP on July 1969. List complied by Lynn Francis. ​Trailer Photos Image 7 images of NP trailers and flatbed trailers, scanned from NP documents. ​Gene Hawk Photos ​Image (*) ​107 images of motor buses, trucks and trailers. To view click "cbxEquipType" on the top row and choose "motor buses" and "Motor Truck" in the drop down list. This section provides information on subjects not fitting under the other categories. The all-time roster of gas-electric and rail-diesel cars operated by the Northern Pacific. List complied by Lynn Francis. 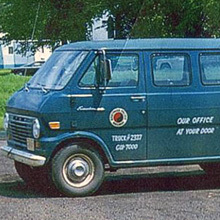 Northern Pacific owned equipment and cars supporting company operations on the property in 1947 and 1968. List complied by Lynn Francis.